At ZA-HA, we’re all about recipes that like a guilty pleasure, but with none of the guilt! 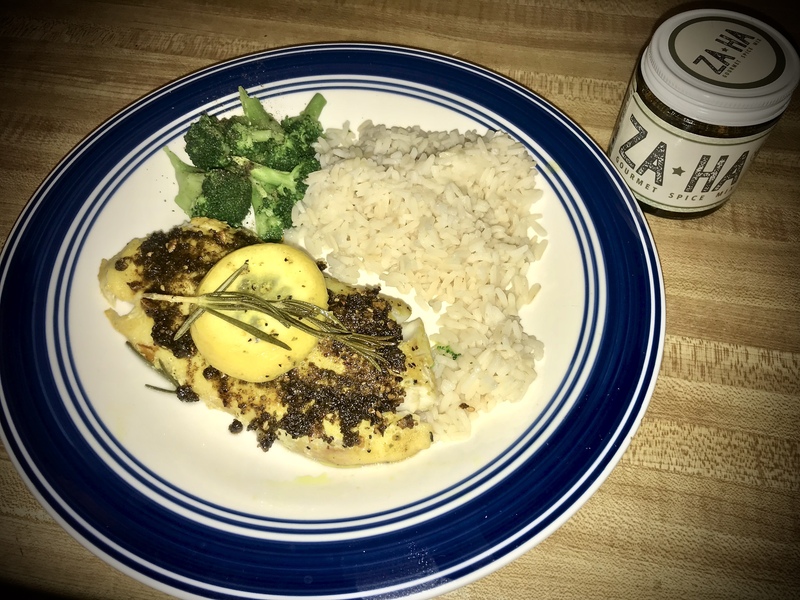 It’s been a while since we’ve published a recipe that incorporates seafood so we thought we’d share a delicious tilapia recipe with you this weekend. This is an excellent summer dish that can be enjoyed at dinner with your family or favorite guests! It’s healthy, tasty, and the zaatar spread adds a unique twist that we’re pretty sure most have never had before! Try this dish tonight and let us know how it turned out! As always, thank you for reading and don’t forget to check back next week for more delicious zaatar recipes!